Inside the Camino Creek mobile home community, twelve hundred residents went about their daily lives unaware that soon they’d be radically transformed by the power of the Holy Spirit. Residents, Mark and Veronica Lugo, felt the Lord’s call to do something for their community, but did not know how to start. They approached their Kings Mission Fellowship pastors, Rune and Berta Brannstrom, for guidance. They were challenged to reach out to neighbors first. So that is exactly what they did. Mr. Lugo went on to say, “The children were the first to respond, followed by the youth, and finally adults started attending. We began building relationships with everyone. Next we held a Vacation Bible School with sixty kids and twenty teenagers signing up! The teens were trained to help the children and even parents joined in to make snacks.” The Lugos had a VBS graduation at the end of the week and all sixty children were honored. Not one dropped out. The ceremony became a family affair with Mark’s mom making the gowns for all sixty children. God was at work. 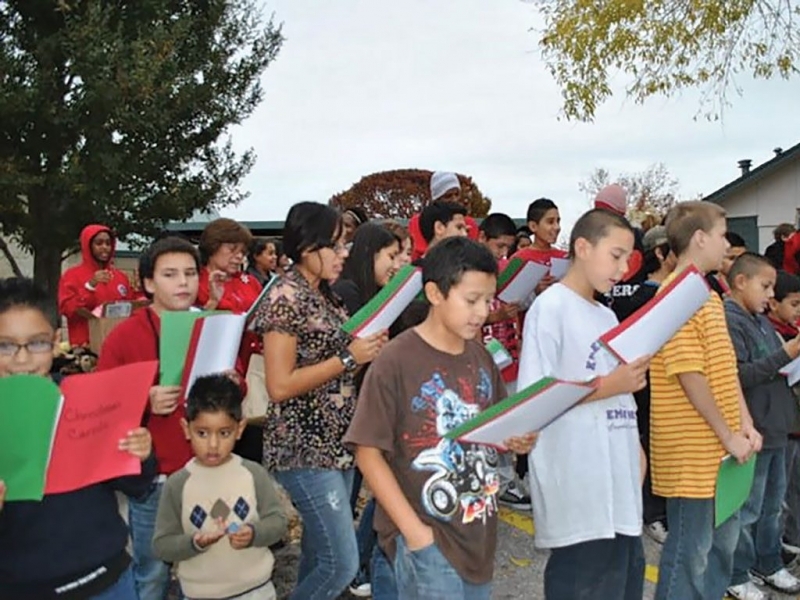 The children were taught to pray and together prayed over Camino Creek, staking out all four corners of the community and claiming it for Christ. Within the first month Mark, Veronica and a handful of volunteers reached over 100 people who made decisions for Christ! “We even held a baptism in the community pool. 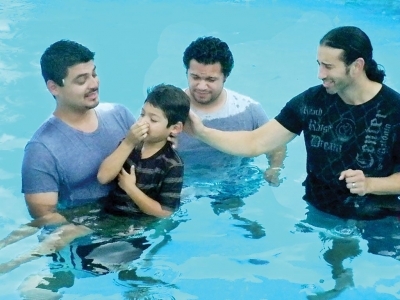 Over eighty people, mainly families, got baptized,” Mr. Lugo reports. As a result of their efforts, prayers and declarations; physical changes took place at Camino Creek as well. New playground equipment was donated and Home Bible Studies started up. Lasting friendships also developed and the children and the teenagers became more respectful. Drug activity declined. Camino Creek was being transformed. Little did Mark and Veronica know, God was equipping them to lead a ministry that would impact thousands in San Antonio. Mr. Lugo coined the phrase ‘partnership is the best way to reach the multitudes’. He firmly believes that there are huge Kingdom resources available if we just step out in faith. He says that partnerships work because they are an important biblical principle (Ecclesiastes 4:9,10). Reflecting on past Camino Creek experiences, MLM is focusing their future efforts towards children and teenagers. Mark and Veronica both state, “Everything we do is because of partnerships.” Their collaborations with various organizations make a difference in the lives of children and teenagers, primarily in disadvantaged areas. An important goal is to help young people discover their purpose and live out their calling in the power of the Holy Spirit. One example is Alyssa, just twelve years old when Mark and Veronica met her through one of their outreach activities. She was able to attend summer camp on scholarships provided by MLM fundraisers. Alyssa received Christ at this camp, and with her family started attending a local church where she discovered her gift for videography. She began taping the youth ministry and later, the adult services and conferences. After these initial steps of faith, Mark and Veronica felt God’s challenge to take their ministry to another level through social media. They met with and now credit Jonathan Carrizales (Media Live) for helping them reach over fourteen thousand people for MLM on Face Book alone. The end of 2018 will see additional community outreach. 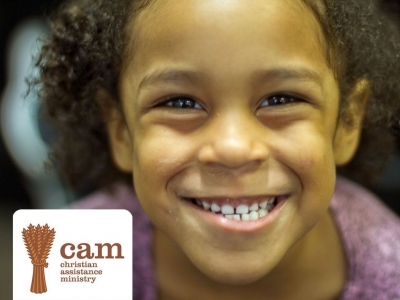 In November, Mark Lugo Ministries will host a community Thanksgiving Dinner for inner-city families on the Southside. The first annual MLM Christmas Outreach will be held in December where their desire is to give out one thousand toys to disadvantaged children and teenagers during the event. They are currently looking for sponsors and volunteers for both outreach efforts. Mark and Veronica Lugo conclude, “Our ministry is sponsored by people that believe in our calling as we live our lives by faith. In continuing to make an eternal difference, our greatest need is time, talent and treasure. 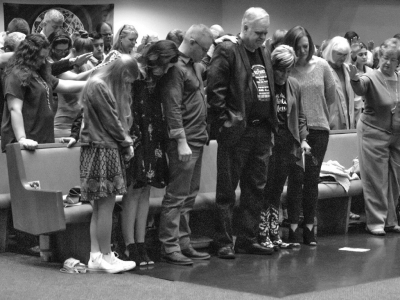 We know how to reach the next generation and we want to journey with them as they grow.” From one small faith step of obedience to a thriving ministry, all they need are the resources to do even more for God and for the next generation in San Antonio. Give. Consider acting as a sponsor for MLM upcoming events. Pray about consistent monthly financial support. Donate toys for their Christmas Outreach. Volunteer. People needed in several capacities for their upcoming outreaches. Pray. For Mark, Veronica and their family as they trust and serve God by faith. PO Box 1232, Lytle, TX 78052. “We feel a responsibility to support efforts like Mark Lugo Ministries that are making a real difference in our community. 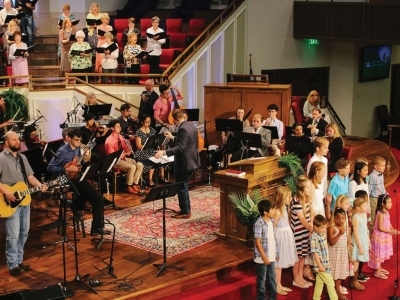 Our employees are involved in their churches and in many activities that meet needs and serve others. We stand with MLM in their ministry to youth”, said Kelley Martinez, Vice President of Mr. W. Fireworks to Beacon staff. Mr. W. Fireworks is celebrating 50 years with a bang in delivering family memories. Their corporate offices are located just outside San Antonio in Somerset, Texas and they have over 500 locations in San Antonio and across two states. Mr. W. Fireworks remains a family operated business with the third generation being active in their operations and customer satisfaction. Because of their heart for our community, we encourage you to visit Mr. W. for your needs and join them in making a bang in our community.